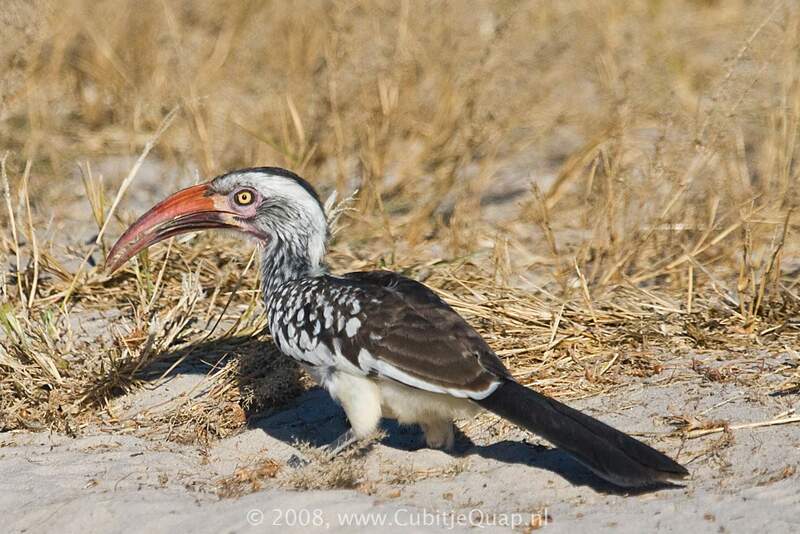 Confusable with Damara Hornbill but is smaller and darker overall, has obvious dark streaking on the face, neck and throat, and has a pale, not dark eye. 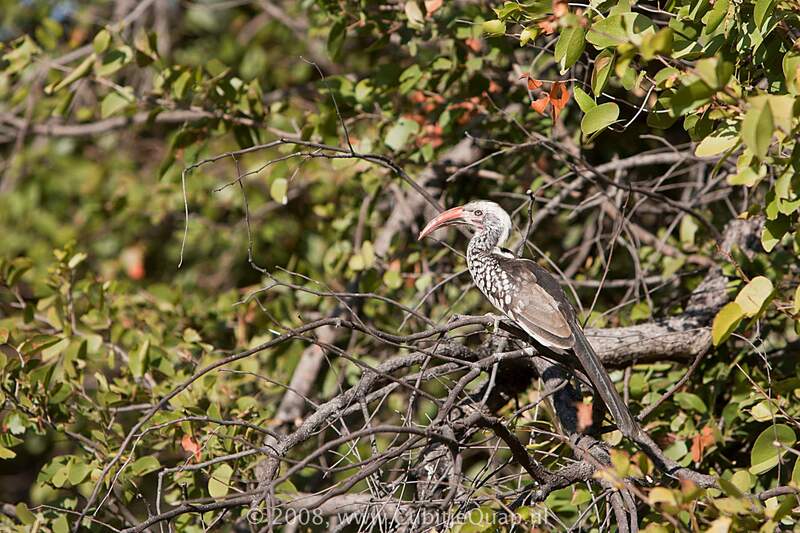 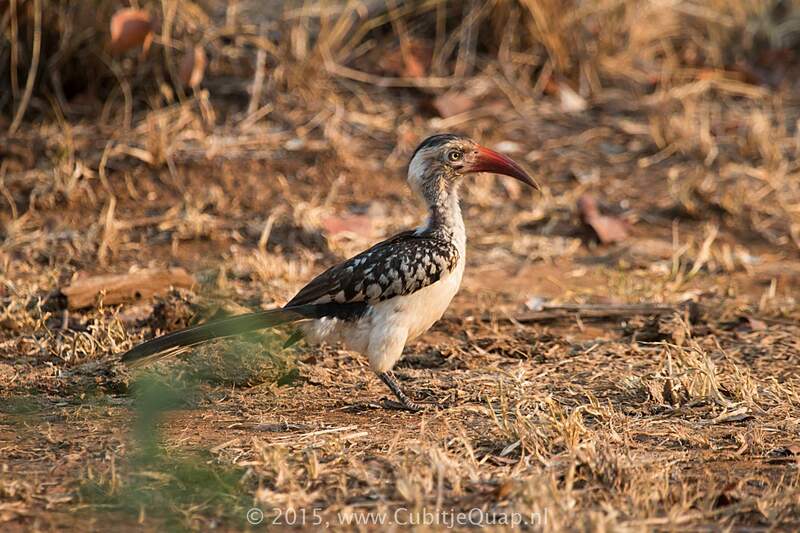 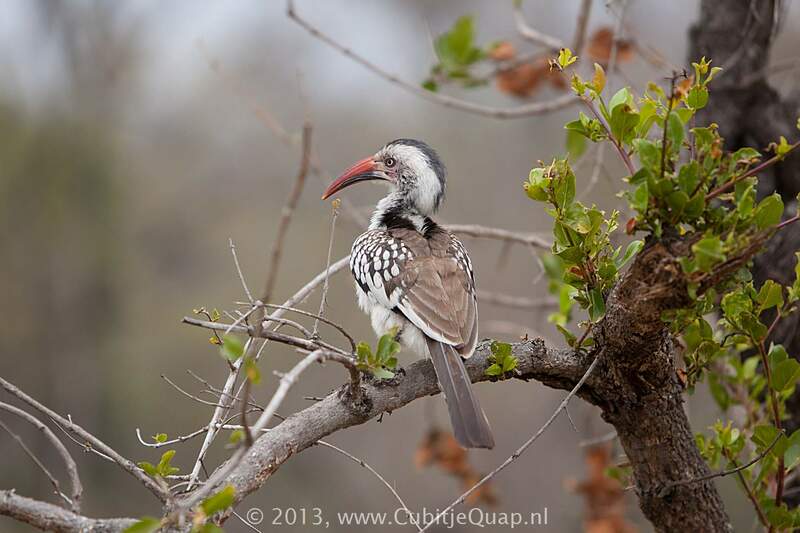 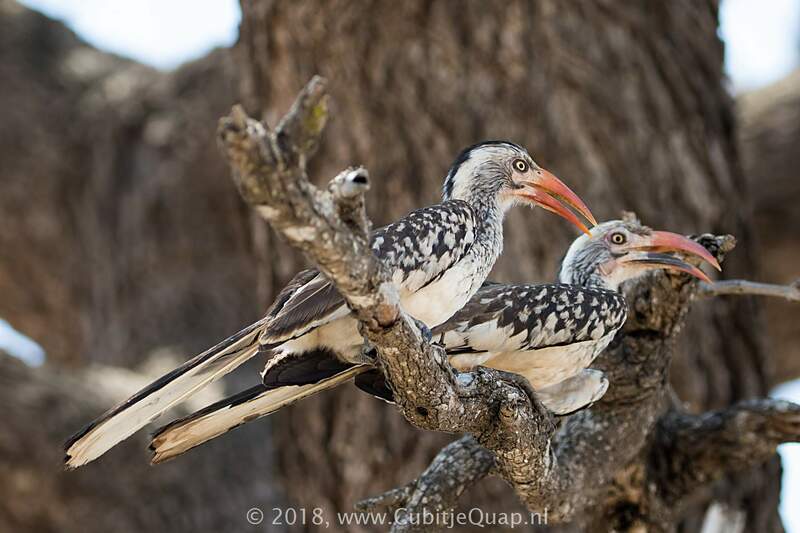 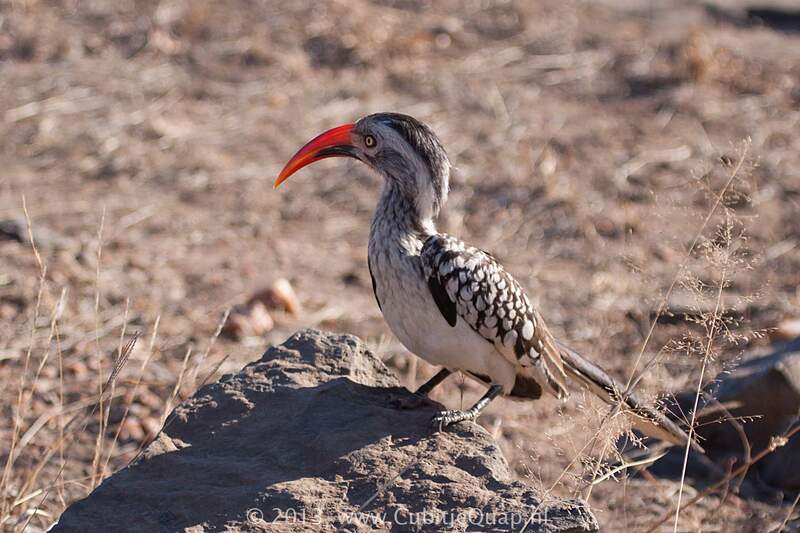 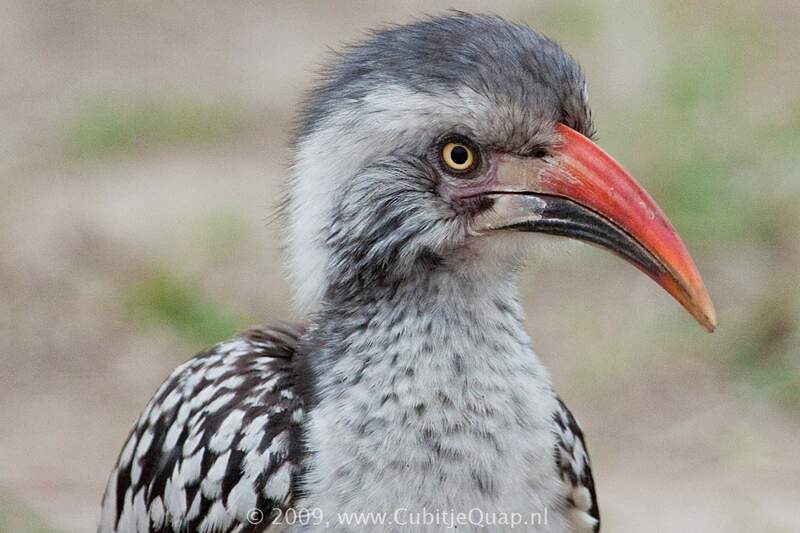 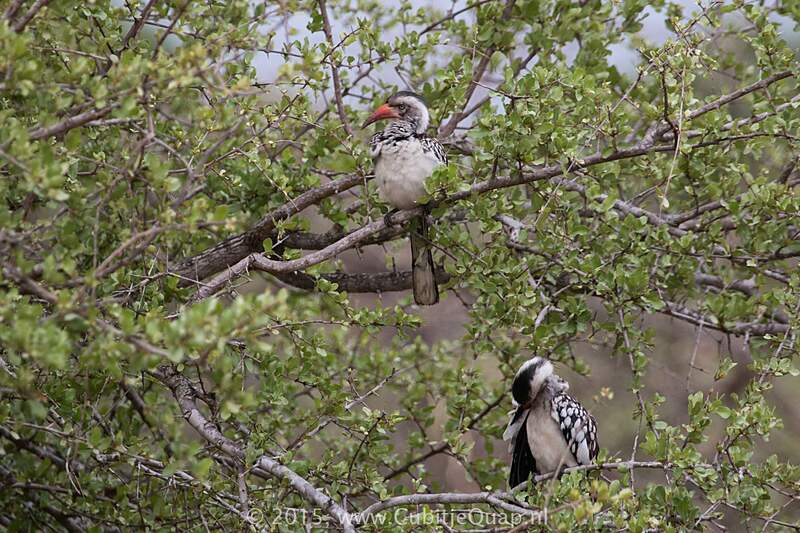 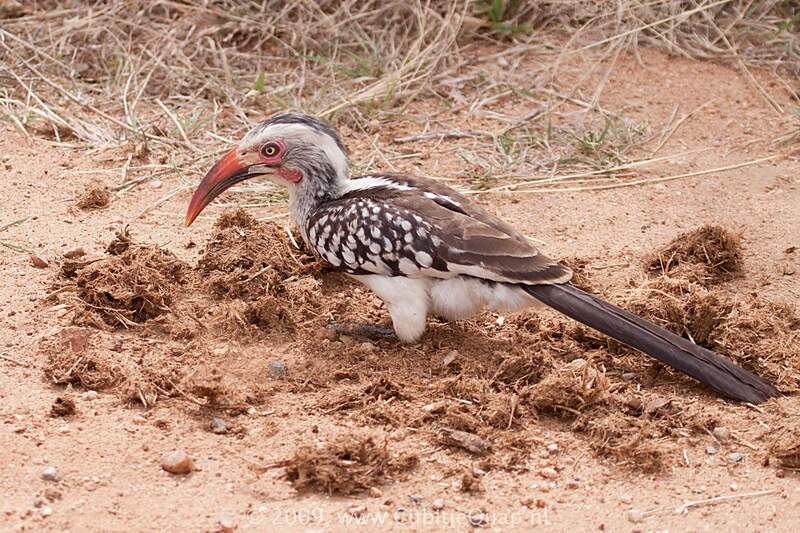 Speckled upperparts should obviate confusion with other, larger, red-billed hornbills. 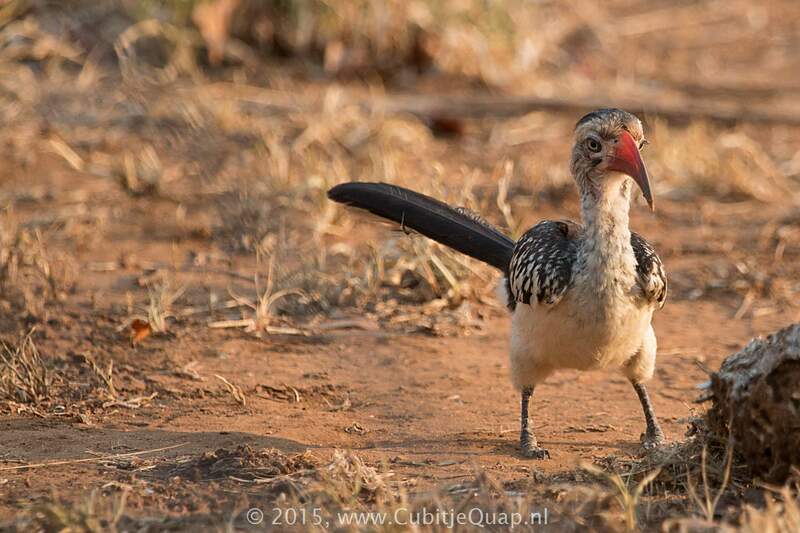 A series of rapid 'wha wha wha' calls followed by a 'kuk-we kuk-we'; in calling display the head is lowered but the wings are held closed.